General history of life in the Middle Ages covering how people in the British Isles lived from 500-1500. From the peasants meals to the royal banquet table, clothing styles and fabric worn by both men and women, medical and dental care treatments, family life and women's roles, festivals, music, titles, knights, castles, wenches, saints, The Church, weapons and war. 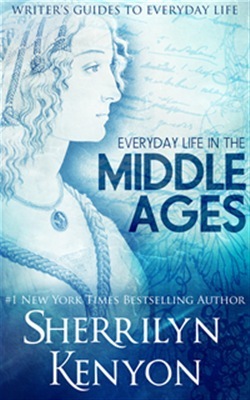 Written by New York Times #1 Bestselling author Sherrilyn Kenyon as a guide to building the worlds for her many bestselling historical novels. About the Author: Sherrilyn Kenyon is the recipient of the prestigious Georgia College Alumni Achievement Award. She was Literary guest of honor at the 2010 national Sci-Fi and Fantasy Convention, Dragon*Con. Sherrilyn Kenyon has had seventeen #1 Bestsellers in three years in four different genres, is published in over 100 countries, and has over 30 million copies in print. Acquista The Writer's Guide to Everyday Life in the Middle Ages: The British Isles From 500-1500 in Epub: dopo aver letto l’ebook The Writer's Guide to Everyday Life in the Middle Ages: The British Isles From 500-1500 di Sherrilyn Kenyon ti invitiamo a lasciarci una Recensione qui sotto: sarà utile agli utenti che non abbiano ancora letto questo libro e che vogliano avere delle opinioni altrui. L’opinione su di un libro è molto soggettiva e per questo leggere eventuali recensioni negative non ci dovrà frenare dall’acquisto, anzi dovrà spingerci ad acquistare il libro in fretta per poter dire la nostra ed eventualmente smentire quanto commentato da altri, contribuendo ad arricchire più possibile i commenti e dare sempre più spunti di confronto al pubblico online.